The excitement is building — you’re going to own your own famiy swimming pool this year! The steps to kicking off a swimming pool project are varied and some of them are quite intence. There is a lot to think about, plan for, and get just right. Your pool, the swimming pool contractors from Seahorse Pools in Fort Worth, Texas explain is a major investment and might be as big an expense as your home was! You want to make sure you do your due diligence and get the pool of your dreams. Find a pool contractor who listens to you, answers your questions and seems to understand what your dream pool will look like. In order for your pool contractor to truly help you, though, you need to tell him — up front — what your budget is. You don’t want to have a hundred dollar budget but million dollar dreams! How can you find the best pool contractor for your projectBefore you start a pool project you need to find a pool contractor! After you’ve narrowed down your options to three (at least) choices (don’t get too many estimates or you will be on information overload and won’t be able to make a decision. Don’t forget to ask your potential pool contractor for information on what it might cost for ongoing maintenance and upkeep. A pool contractor may also be able to give you some averages on what to expect for increases in your utility bills. 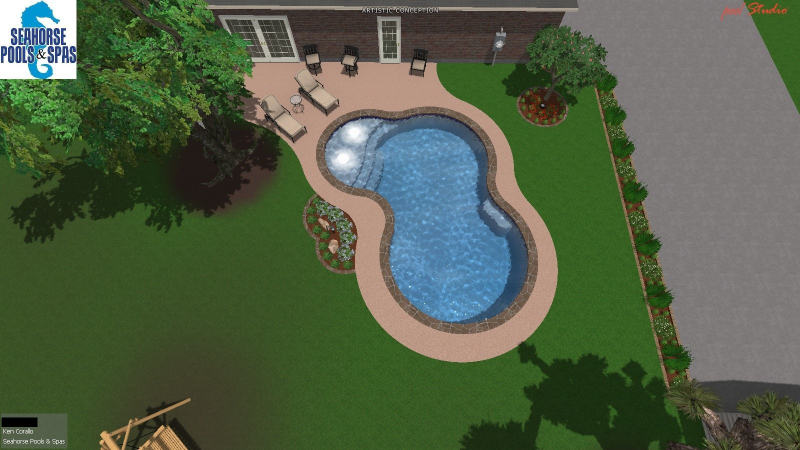 Your pool contractor can, or you can, draw a sketch of your property and place the pool in it. This gives you an idea of what the pool will look like with the rest of your natural landscaping and how much space you will have left for actual yard. Your pool contractor will check with local zoning departments to uncover any zoning requirements for your pool project. You will want to check with your homeowner’s insurance agent to make certain a swimming pool is allowed under your coverage. It may be excluded from your policy and/or you may need to increase your liability coverage. Checking for electrical lines that may criss cross the pool itself needs to be looked at. Your pool contractor will also need to know about buried utility lines. Be prepared to ask a lot of questions and work with a pool contractor who answers all of your questions. Remember, no question is silly. We have been in this industry a long time and know the ins and outs, but we know our customers don’t!